Since it became evident last summer that India was moving forward with purchase of at least five of Russia's S-400 air defense systems, the controversial initiative which is part of India's big ambitions for regional dominance immediately ruffled relations with Washington, resulting in the complete cancellation of at least one planned visit of Mike Pompeo and Jim Mattis to New Delhi. 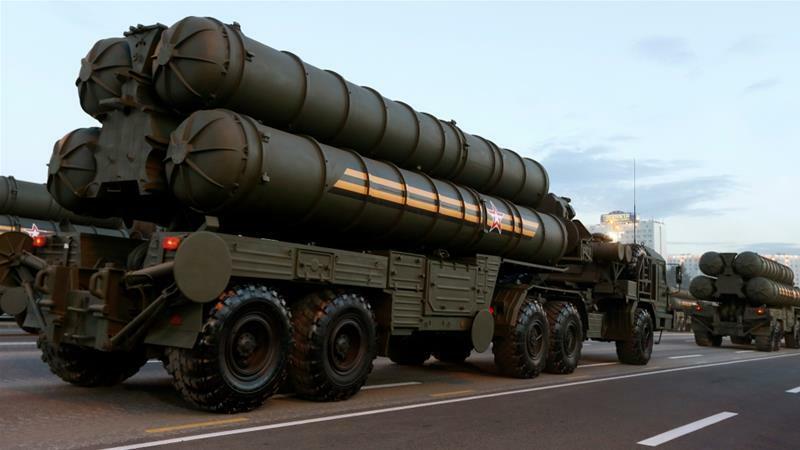 The S-400s can detect, track and destroy supersonic bombers, drones, fifth-generation fighters, spy planes, and supersonic missiles at a range of up to 400km and altitude of 30km - in what many Indian officials have praised as a game-changing military acquisition which has further cemented the Russian-Indian defense relationship which includes Moscow now accounting for 62 percent of New Delhi’s arms imports. But this week, another huge bombshell dropped after a $5.4 billion deal for Indian to acquire the S-400 systems from Russia was clinched during Putins two-day visit to the country in early October: the contract will be settled in rubles as part of Moscow's broader policy and pursuit of de-dollarization of the Russian economy. Russian Deputy Prime Minister Yuri Borisov announced on Wednesday, "The contract has been signed in rubles," according to TASS. The idea of de-dollarizing the Russian economy has been actively discussed in the country lately due to the tightening of US sanctions. Russian President Vladimir Putin supports weaning the country’s financial sector off the US dollar, VTB Bank head Andrey Kostin told RIA Novosti. He added the move doesn’t mean the complete phasing-out of the American currency.